I am an Assistant Professor in the Department of Biology and Environmental Health at Missouri Southern State University. I am a strong supporter and advocate for undergraduate research. The students that I work with become active researchers in their fields, strong academics, and professionals. Every project that we collaborate on is a true collaboration; I typically work alongside them to accomplish a larger goal. I am very passionate about research and teaching and believe that a multifaceted approach is the key to advancing critical thinking skills and life-long learning. Veronica is a Pre-Dental student at Missouri Southern State University and a member of the Honors Program. We are still in the planning stages of our collaboration but it looks like Veronica is going to follow up on some of my previous research. I have previously studied bite force in snakes using linear head dimensions. Veronica plans to expand on the research with a more detailed measurement approach. 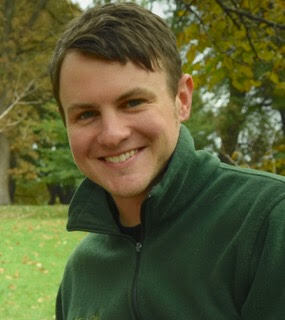 Nathan is a Pre-Med student at Missouri Southern State University and a member of the Honors Program. We are currently working on a collaboration with Brian Greene at Missouri State University. Nathan's research focuses on the ontogeny of strike performance, the ontogeny of venom delivery, and the relationship between the two traits. We are currently in the final stages of project assembly and are on track to start data collection soon. I met Jeff at the Kansas Herpetological Society Meeting held at Wichita State University in 2017. Jeff is a graduate student at Emporia State University, studying under Lynnette Sievert, and I am serving as his outside committee member. In the Spring of 2018, Jeff visited my lab to train on pressure sensors in order to record constriction pressure and body posture. Jeff is studying the impacts of body temperature variation on constriction performance in Corn Snakes (Pantherophis guttatus). Data collection is ongoing. Elva is a wildlife major at Missouri Southern State University. She is interested in working in a zoo setting so we tailored an internship for her in the lab. For the Spring of 2018, Elva monitored, fed, cleaned, and generally cared for the Reptile Physiology Lab (>100 snakes). During this time, Elva helped me at campus events where we communicated the importance of reptiles and amphibians. She also completed a second internship at Wildcat Glades nature center here in Joplin. Elva has attended two professional conferences with the lab and we are currently discussing project ideas for an upcoming research project. Liz is a graduate student from the University of Louisiana at Lafayette. 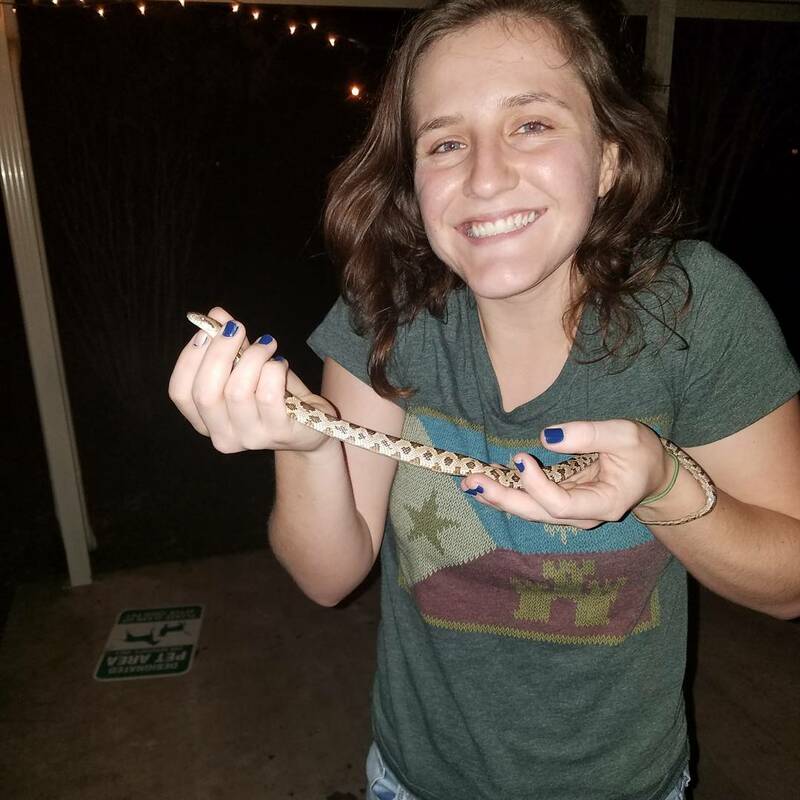 She is from Brad Moon's lab where I completed my Ph.D. Liz lived on campus at MSSU during the summer of 2018 where she could collect and analyze data for her Master's thesis using kingsnakes. The focus of Liz's work aims to better understand how a spatially limiting environment may constrain how a constricting snake may function. Liz presents her preliminary findings at the Joint Meeting of Ichthyologists and Herpetologists in New York. Christian and I focus on better understanding the physiological mechanisms of constriction in several snake species. Christian currently works as the Reptile Physiology Lab Research Technician and helps oversee our live animal collection. In addition to the maintenance in the lab, Christian has been working on two separate projects. 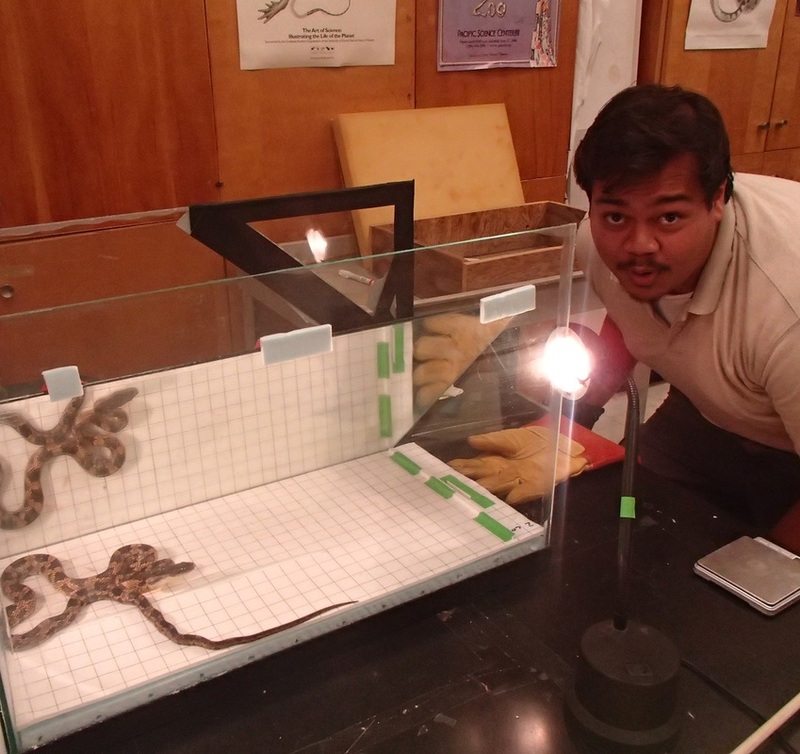 Christian has begun to take the initial performance data on the ontogeny of constriction performance in Borneo Pythons. More recently, Christian has been quantifying the movement of fluids in the body that prey experience during constriction. Christian was recently awarded a $600 research grant from MSSU and has presented portions of both of his projects at the Kansas Herpetological Society's annual meeting. Christian also recently presented his work at the MO academy of sciences. Ashley is an Honors student at MSSU focusing on wildlife and conservation biology. Ashley currently works as at George Washington Carver National Monument. In the lab, Ashley is studying the impacts of different target types on the strike performance of the Western Ratsnake. Ashley has collected preliminary data on her project and recently presented her work at the Kansas Herpetological Society's annual meeting. Ashley has received a $700 grant from MSSU for her work. She also received the Alan H. Kamb Grant for Research on Kansas Snakes ($300). 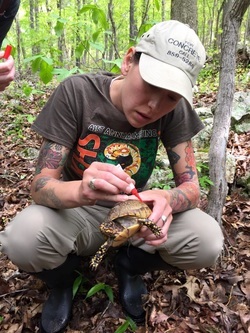 Additionally, Ashley received the George Toland award for Ecological Research on North American Herpetofauna from the Center for North American Herpetology ($200) for her presentation at the recent KHS meeting. Ashley received 2nd place at the MSSU research symposium and graduated in 2018. Teddy is a conservation student with a more field oriented focus than many of my other students. Our research focus is also not snake-centered but is still very much in my wheelhouse of functional morphology and biomechanics. Teddy’s research is centered around the common snapping turtle (Chelydra serpentina). Missouri Southern has a large population of snapping turtles on campus and Teddy is trapping, tagging, and taking performance metrics. His work centers on understanding the proximate determinants of bite force as a function of head and body morphoogy. Teddy recently presented some of his preliminary work at the Missouri Academy of Sciences as well as the Undergraduate Research Symposium on campus at MSSU. Data collection for his project is ongoing. More recently, Teddy was awarded a $600 research grant from MSSU and presented more of his work at the Kansas Herpetological Society's annual meeting. Teddy received both the Outstanding Service Award and Outstanding Research Award from the Department of Biology & Environmental Health at MSSU. Teddy and I have an active collaboration with Day Ligon at Missouri State University. Levi is my first student that is both a researcher and my lab technician. He graduated in the summer of 2017. 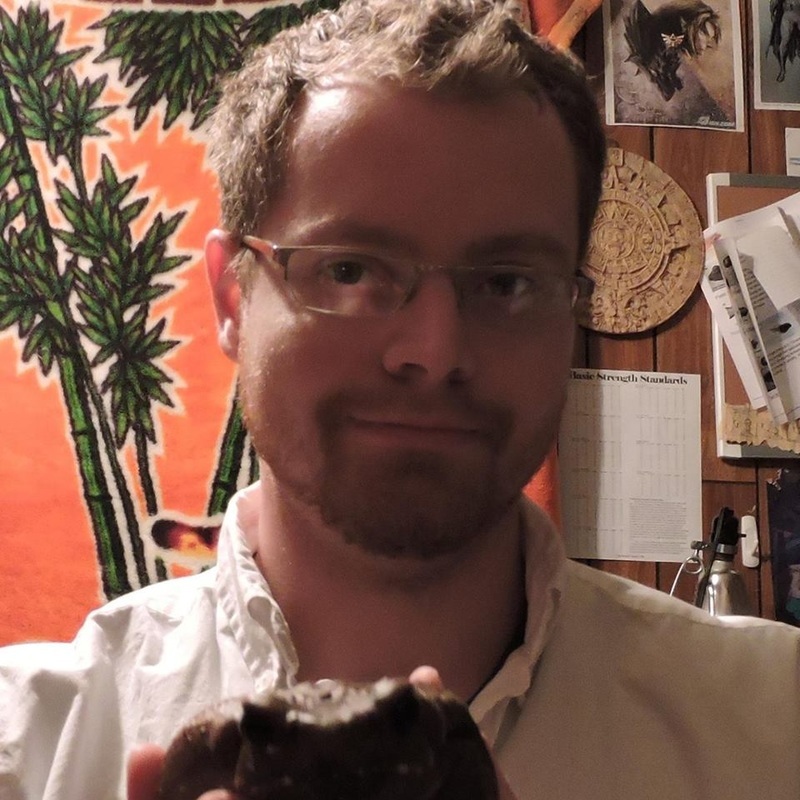 During his time in the lab he spent his time rehabilitating and reorganizing our amphibian and reptile museum collection, caring for the live animals in the reptile physiology lab, and working on his own research questions. Levi also received the Excellence in Service award from the Department of Biology & Environmental Health here at MSSU. Levi is an avid climber and has merged his interests with mine. He studied the limitations of strike performance in highly arboreal snakes to understand how behavior and ecological complexity play a role in animal performance. To do this, Levi filmed and quantified the 3-D strike kinematics of Green Tree Pythons striking in both arboreal and terrestrial habitats. Zadok is my first undergraduate research collaborator at Missouri Southern State Univeristy. Zadok graduated from MSSU in the Spring of 2017. Based on my research timeline and transition to MSSU, Zadok got to experience the very beginnings of a research lab being built from the ground up. Together, we came up with a creative solution to our temporary limitation in research space so that we could accomplish his research goals. 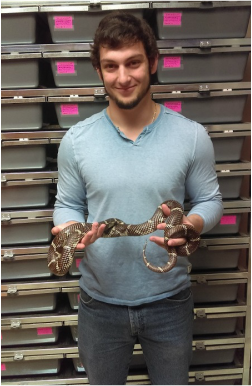 Zadok was in the Honors program at MSSU and his honors thesis focused on understanding how hunger affects predation performance in kingsnakes. We are finished with data collection and are currently in the writing process. Zadok's work was presented at the MO Academy of Sciences and the MSSU undergraduate research symposium where he won the 1st place poster presentation. Zadok also received the excellence in research award from the Department of Biology and Environmental Health at MSSU and a $750 research grant from MSSU. Gabriel came to the Moon lab at the University of Louisiana at Lafayette for the Summer of 2016. Gabriel is originally from Brazil but before coming to UL Lafayette he had spent quite some time at The Evergreen State College in Olympia, Washington. When Gabriel arrived, I was knee deep in data collection on a project involving complex in vivo measurements of muscle physiology in snakes and Gabriel jumped right in. Gabriel also worked shortly with CJ on another project involving quantification of kingsnake predation performance and he also collected high-speed videos of rattlesnake strikes. I had a large sample of kingsnakes available for study and after training him on various pieces of equipment, Gabriel worked with Brad to formulate a very interesting and exciting summer research project. Gabriel's project focused on quantifying and describing the behavior and performance of subterranean feeding in kingsnakes. We have a very narrow view of how many snakes actually feed and Gabriel's project has revealed some very interesting observations and results. He is currently writing the manuscript and hopes to have it ready soon! CJ and I have been working together for several years now. We are currently working together to investigate the functional limitations of snake strike performance across their known thermal environment. We just finished this project and hope to publish our new insights into elastic recoil mechanisms very soon. We are currently working together on several additional projects involving strike kinematics and variation in constriction performance. CJ is a an undergraduate at UL Lafayette. CJ recently received a $2,000 competitive scholarship from the Mississippi valley Trade and Transport Council and presented a portion of his work at the 2016 Joint Meeting of Ichthyologists and Herpetologists in New Orleans and the 2017 Society of Integrative and Comparative Biology Meeting. CJ is currently attending graduate school at UL at Lafayette. Baxter and I met in 2013 and started working together on the behavioral modulation of strike kinematics. We have continued to work together on several other projects investigating changes in muscle anatomy and performance changes through ontogeny. Our third collaboration is ongoing and focuses on the comparative performance differences among several different snake species. We have presented our work (2 oral presentations and 3 posters) at both regional and national conferences. Our work together has resulted in competitive awards totaling $1,200 so far. Two of our three collaborations are currently undergoing peer-review. Baxter graduated with his B.S. in 2014. 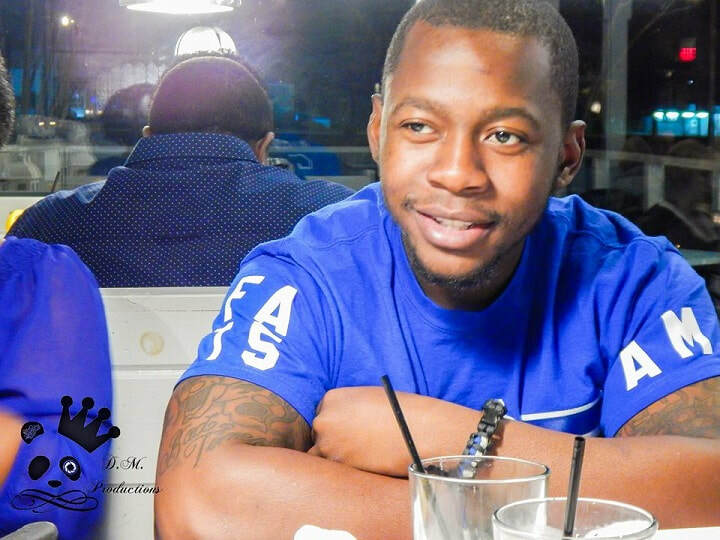 He is currently working on his Master's degree at the University of Louisiana at Lafayette. Using electron microscopy, Baxter's work focuses on arachnid ultrastructure and functional morphology. Eva and I spent three years working together on several interesting projects. Our first project together focused on tracking the movements of overwintering snakes within a cave hibernacula. Even though snakes had limited thermal opportunities, they all regulated their body temperatures just above freezing. Snakes were not dormant, their activity was reduced but controlled. Thermal opportunities ranged from 0–8°C but all snakes maintained their body temperature around 4°C. We also worked together on projects investigating the efficacy of snake measurement techniques and the differential growth of snakes feeding on different prey. Our work together has resulted in one peer-reviewed publication so far and Eva has presented our collaborative work at several Herpetology conferences. Eva received $2,500 in grant support for our work together. She graduated with her B.S. (with honors) in 2013. She spent a year gaining research experience studying the demography of alligator snapping turtles at Missouri State University, and recently finished her M.S. studying box turtle ecology at the University of Central Missouri. I met William while I was teaching at the University of Central Missouri. Early on, it was clear that he was interested in research outside of the classroom and he was an eager self-starter. I helped William design and implement a project evaluating the behavioral plasticity of ribbon snakes (Thamnophis sauritus) when feeding at a land/water interface. He received $700 in grant funding from the University of Central Missouri for the project and we co-authored a paper together. William's work showed that T. sauritus (feeding on small frogs) hunt primarily from terrestrial habitats. Regardless of the foraging location, the snakes worked to drag prey back to the land to complete ingestion. William graduated with his B.S. in 2013. After his B.S., he focused on amphibian evolution and is in the final stages of his Master's work at UCM. While at UCM William helped teach Comparative Morphology and took an Instructor position at State Fair Community College teaching Anatomy and Physiology. Tyler got in touch with me through an instructor at UCM. He was looking to gain some research experience before he graduated. We worked together, and with two other undergraduates on several projects. He was dedicated to a project evaluating how Boas handle distinctly different prey types. Tyler wanted to describe the differences between the prey-handling behaviors used on endothermic prey compared to ectothermic prey. Additionally, Tyler tracked the growth rates of these snakes to better understand the energetic consequences of different prey-bases. Tyler received $700 in grant funding from the University of Central Missouri and we are coauthors on one paper. Tyler currently works for Johnson County Parks and Recreation Department.